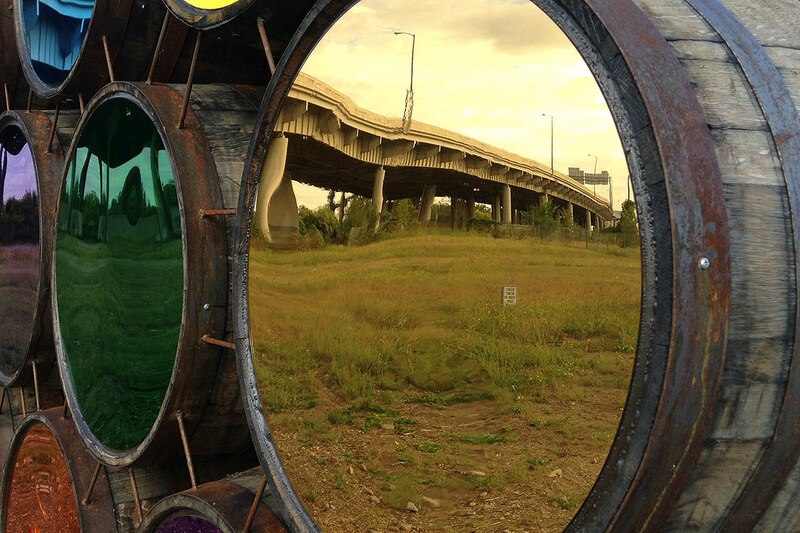 Apply to be part of these two public art programs by June 9. By all accounts, Louisville today is a car city. More than 80 percent of residents get around by automobile and residents drive some 7 billion miles every year. But that’s beginning to slowly change as the city looks toward a multimodal future where walking, biking, transit, and private automobiles are all welcome users of our streets. With the Move Louisville plan still undergoing public comment and progress continuing on our urban bike network, Metro Louisville and the city’s Commission on Public Art (COPA) are looking to advance the discussion around transportation with the help of local and national artists. ART moves LOUISVILLE builds off of last year’s public art exhibition, Connect|Disconnect: A Public Art Experience, at Tenth Street and the Ohio River. 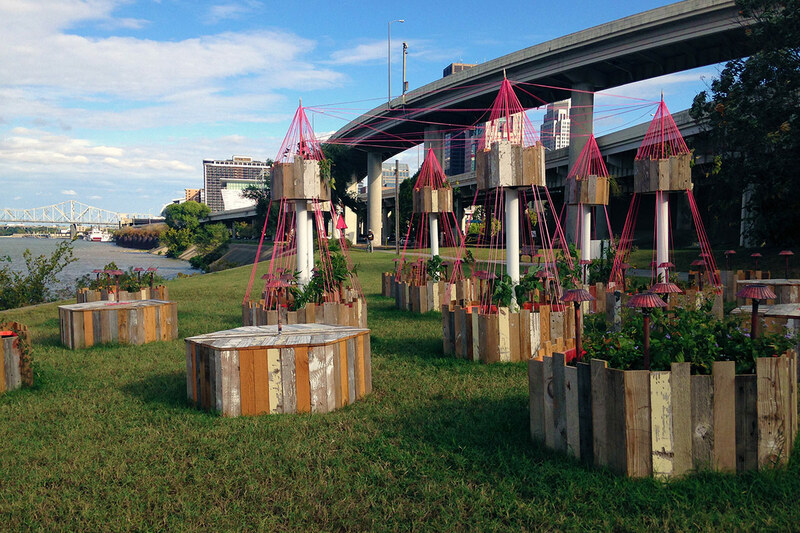 That showing explored the notion of trails as places for public art. AmL is the second in a three-year series of exhibitions as part of the Louisville Public Art Master Plan, developed by New York–based Creative Time in 2009. Additionally, Metro Louisville is launching the Fran Huettig Public Art Project, which will bring long-term public art to the Russell neighborhood over the next five years. The city is “inviting artists to develop and implement a community-engaged public art project in the Russell neighborhood in the fall of 2016,” a project brief states. The project is “an opportunity for artists to work with community members as well as the Louisville Metro department of Safe and Healthy Neighborhoods initiatives including One Love Louisville, a comprehensive strategy to reduce overdose, suicide and homicide rates; and Zones of Hope, a strategy for transforming a culture of violence into a culture of hope.” The city will select up to three artists or teams to work on the project, with a budget of $20,000. If you are an artist you know would like to be considered, you’ve got to ask fast—the deadline for submitting a Request for Information (RFI) to the city is this Thursday, June 9. 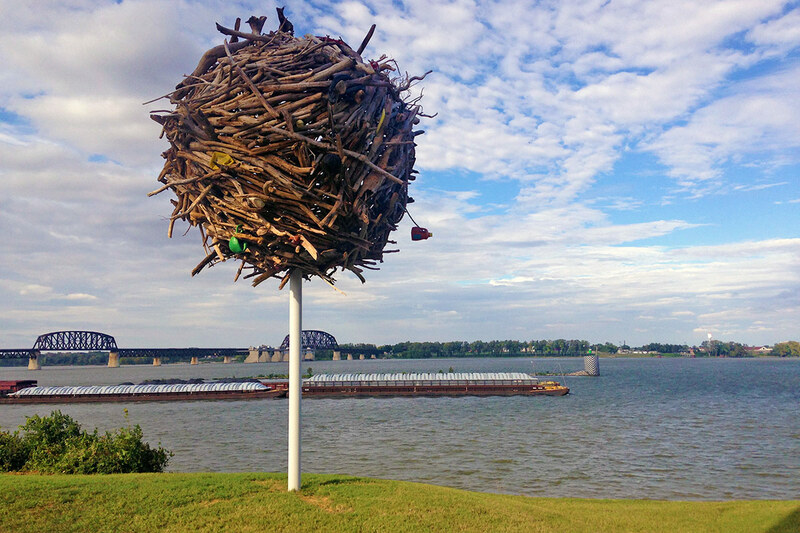 A panel of experts will select up to five artists and dole out budgets for the ART moves LOUISVILLE exhibition and up to three artists for the Fran Huettig Public Art Project. For more information on both art opportunities and how to submit an RFI, visit the city’s website here. How about artistic yellow paint lines down all the one way streets that adversely impact neighborhoods like Russell. Frankly I am tired of all these little piss in a pot “ideas” that change nothing. 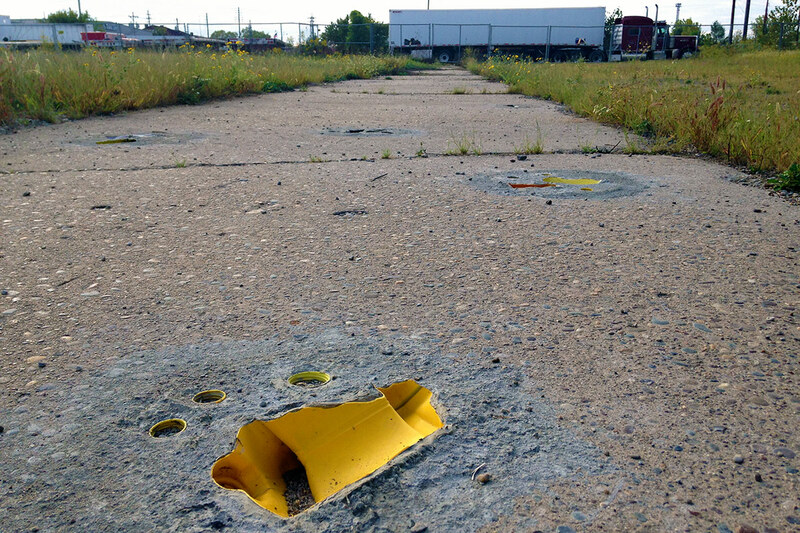 Whatever happened to the $150,000 art project that was going to” transform” Ninth and Main? I agree. One of the worst places for cars, pedals, and feet is the Bardstown Road corridor, especially from Douglass Blvd to Broadway, continuing on as Baxter Ave to Spring St. It is just way too narrow for any cars, and other traffic makes congestion worse. Were it physically possible, I would move the buildings on both sides of the street back two lanes and build in pull-in lanes for the buses to pick up passengers. The sidewalks would be modified to accept bicycles and skateboards on the side closest to traffic, and the inside is made for pedestrians. …but yet Bardstown Road is one of our most *successful* corridors for cars, pedals, and feet! Maybe because its design pre-dated cars, its scale feels better to pedestrians. A wider space between buildings would make it feel more auto-oriented than people/interaction-oriented, in my opinion. The fact that cars park along the sides helps pedestrians feel protected and the sidewalks are plenty wide. Cars face congestion, yes, but that just keeps them at a reasonable speed. If anything it’s probably least successful for bicycles. There is not much room for error for a cyclist. If some of our other corridors “failed in design” as well as Bardstown Road, I think we’d be in pretty good shape! Elect a governor who gives a dam next time. If it was a push to make a ridiculous Ark, the money would be allocated and it would get done. Ignorance and ideology are more important than thoughtfulness and creativity.